There is no bacon in my fridge. I love bacon. In fact when I was in my right on teen years and vegetarian for a couple of them – on one fateful Sunday the smell of bacon was all too much that I caved. Yes I wanted to save animals but does bacon count. Having lived in France and visited the USA a number of times I can tell you that no one does bacon like the English. It’s not just the bacon there are several other factors: the bread, sauce and to butter the bread or not. I’ve eaten some terrible bacon sandwiches in my time. However, sometimes you chance upon the perfect bacon sarnie and it’s so good there are no words. 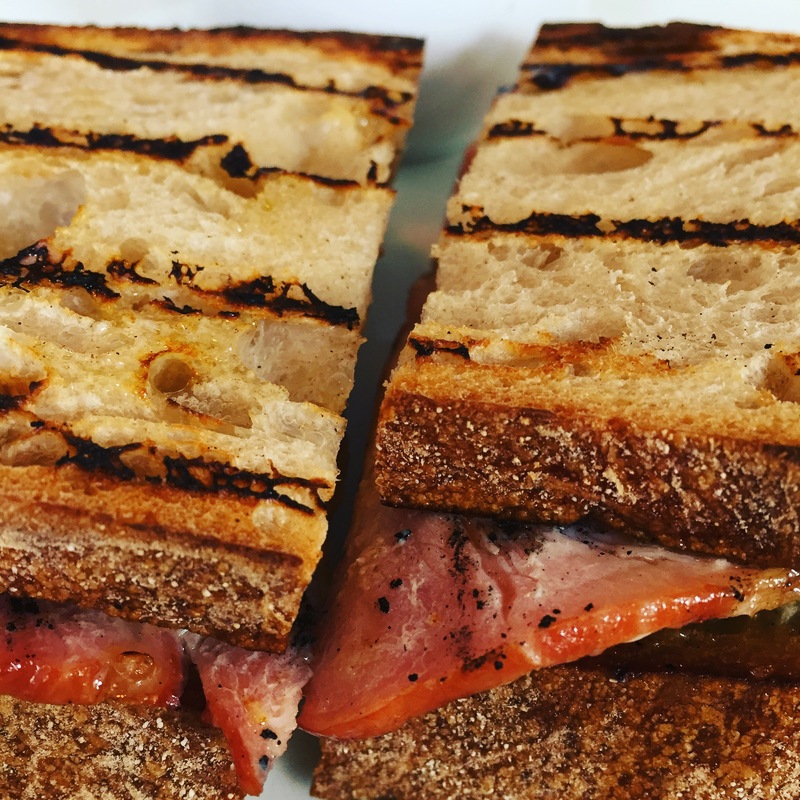 The best bacon sandwich in London can be found at St John Bread and Wine. It’s located across the way from Spitafield market – so you can have a wander round the shops in there and then cross over the road for a sandwich. You don’t come here to look at the fancy interior. It is all about the food. St John created by the great Ferguus Henderson is all meat. He introduced the nose to tail eating – nothing is wasted here. This is carnivore heaven, apologies vegetarians. The interior is old school actually it felt like an old school room. The menu is given to you on a sheet of paper or you can look at the blackboard. It is also very relaxed. Your order is taken and then in the great British tradition you are left alone to read, look around or just be. I ordered a cappucino and bacon sandwich. I know this is nose to tail eating and there were certain items on the menu I couldn’t bring myself to eat. Kidneys in the morning no thanks. I came for the bacon sandwich and this is what everyone should strive for. Fresh grilled homemade bread, just enough butter so that is when your teeth sink it the bread your fingertips glisten but, most importantly, there is no ooze. The bacon rashers just enough fat and a slight chew. Can it get any better. Yes – the ketchup is homemade. 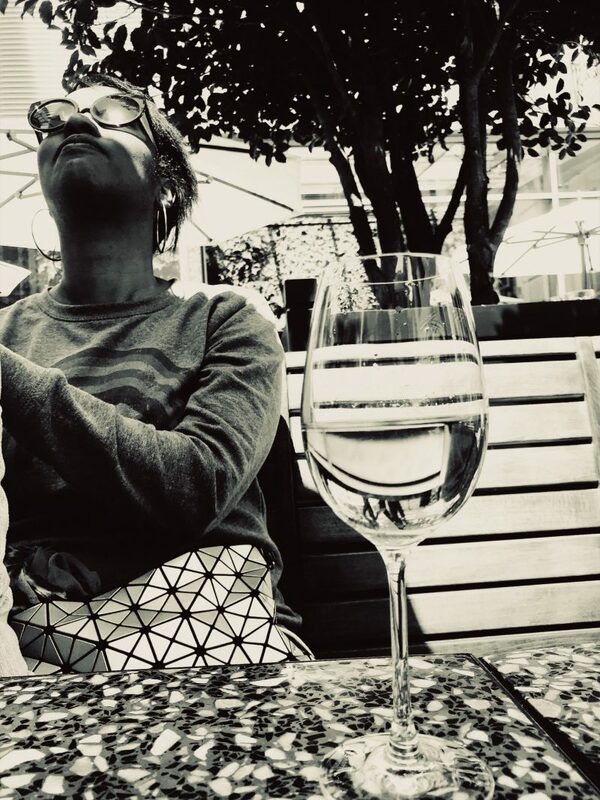 There are times when I am grateful to dine solo and this was it. A meditative moment, musing on the greatness of the bacon sandwich. As for the cup of coffee; rich, dark, smooth and strong just how I like a lot of things including my coffee. 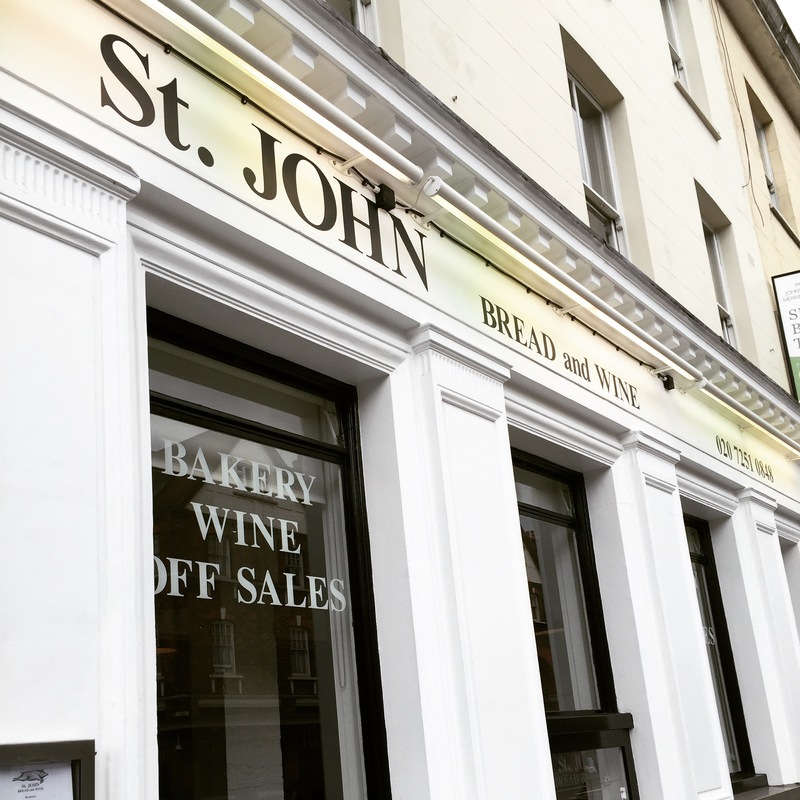 If you want to experience good meat and the perfect bacon sandwich get yourself down to St John Bread & Wine. Baby in the corner? 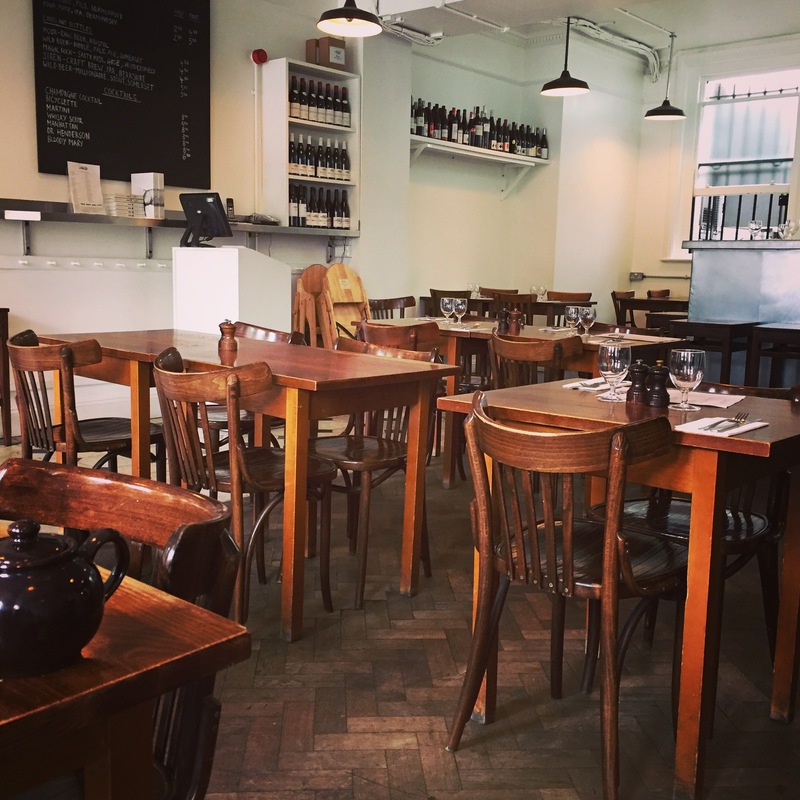 Not at all – not only did I arrive 30 mins before end of service I was allowed to sit anywhere I chose! Now that’s service. Pricey? 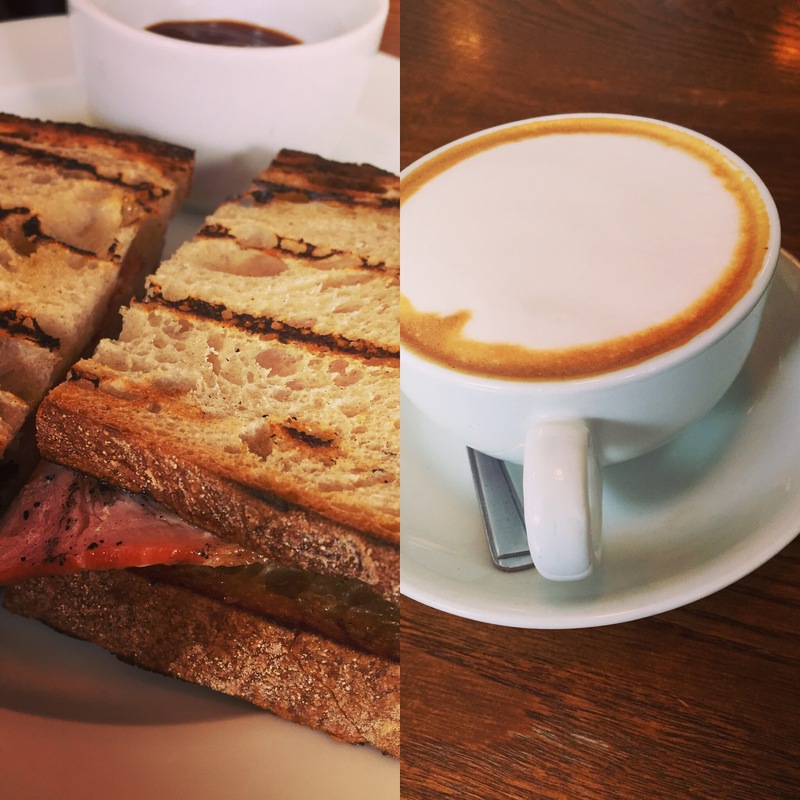 My sublime coffee and bacon sarnie cost less than £10.